Present state: Eastbound slow line platform still exists, although not rail-connected. 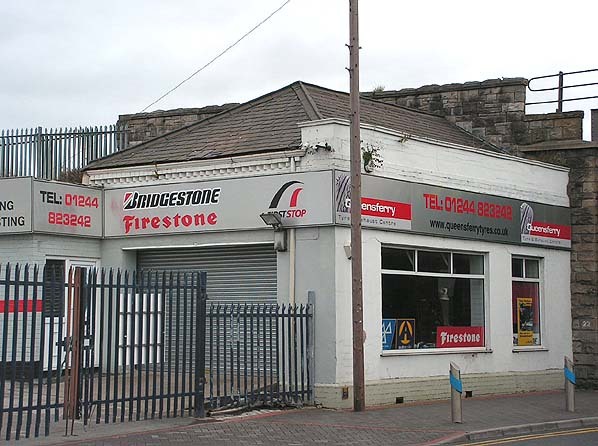 The station booking office at street level is still extant and in use as a retail tyre business. Notes: Queensferry Station opened as Queen's Ferry on the 1st May 1848. The Station was part of the Chester and Holyhead Railway Companies line which was engineered by Robert Stephenson. for that company. Indeed the line was of strategic importance as it connected London to Ireland via the Holyhead Ferry. Queensferry Station was situated on an embankment on the west side of a bridge that crossed a road that became Station Road. 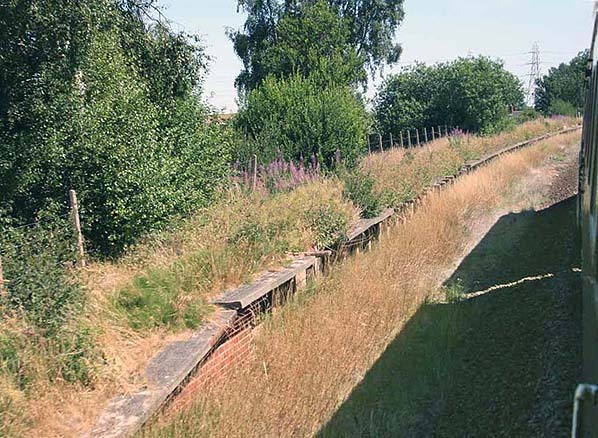 When the station first opened the line at this point had two tracks but later in the 19th Century it was quadrupled. Platforms were provided for all lines with three platforms giving four platform faces, an island platform being located between the up and down fast lines. 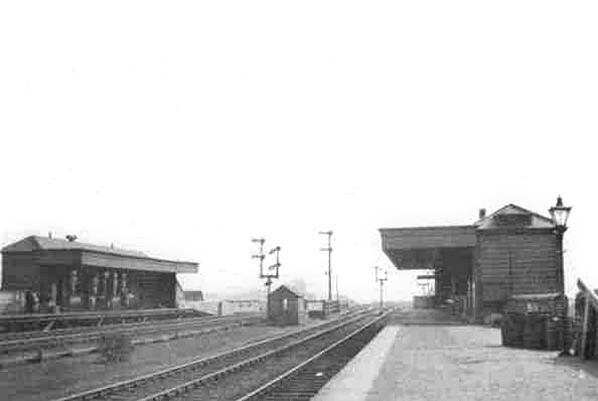 The station was served by local and long distance trains and had substantial brick built facilities. the mid 1980's the line was reduced back to two tracks but it remains busy with a variety of traffic. The street level booking office is still extant and in use as a retail tyre business.